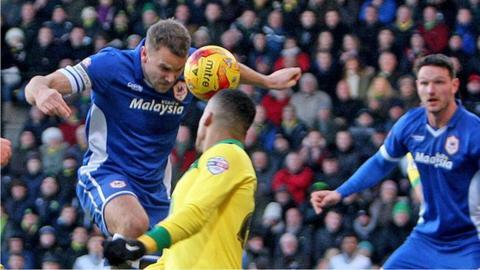 Cardiff City defender Ben Turner is set to go out on loan as he continues his comeback from a long-term injury. Turner plays for the Bluebirds Development side against West Bromwich Albion on Tuesday evening. Providing he comes through unscathed, the 27-year-old is likely to move to either Coventry or Barnsley on loan as part of his rehabilitation. Turner has not played since injuring an ankle in a pre-season friendly against Yeovil in July.